Our first residency is going to start in a few days: it will be a string Academy devoted to chamber music and will be held in Cressia (France), with the violinist Chiara Banchini and the cellist Gaetano Nasillo as tutors. Let’s give a look to the music program. We will start with Beethoven’s String Trio op. 9 n. 3, the last of a set of three string trio composed by Beethoven in 1797-1798. It is written in C minor, and it brings the most energy and novelty with highly passionate tone. This trio invokes those later works’ power and peculiar character so typical of Beethoven. Dynamic effects, sharp contrasts in rhythm, harmonic confrontations among other means of music provide momentum and the tone of anxiety. By contrast, the Adagio brings peace and resignation in C major, with a more lively episode in E flat major in the middle of the movement. Both the Scherzo and the Finale continue the passionate and energetic storm of the first movement.C minor is one of Beethoven’s most important keys. Three of his piano sonatas and the fifth symphony were written in C minor, for instance. Then we have Luigi Boccherini‘s String Quintet in D major op. 39 n. 3 G 339, in which he deployed the distinctive combination of two violins, viola, cello, and double bass; this quintet is the third of a set of three. Boccherini was an incredibly prolific composer, and he wrote also over one hundred string quintets for two violins, viola and two cellos (a type which he pioneered, in contrast with the then common scoring for two violins, two violas and one cello). In op. 39 n. 3 the cello has often a prominent and challenging role; and very particular indeed is the twangy guitar effects in the finale. 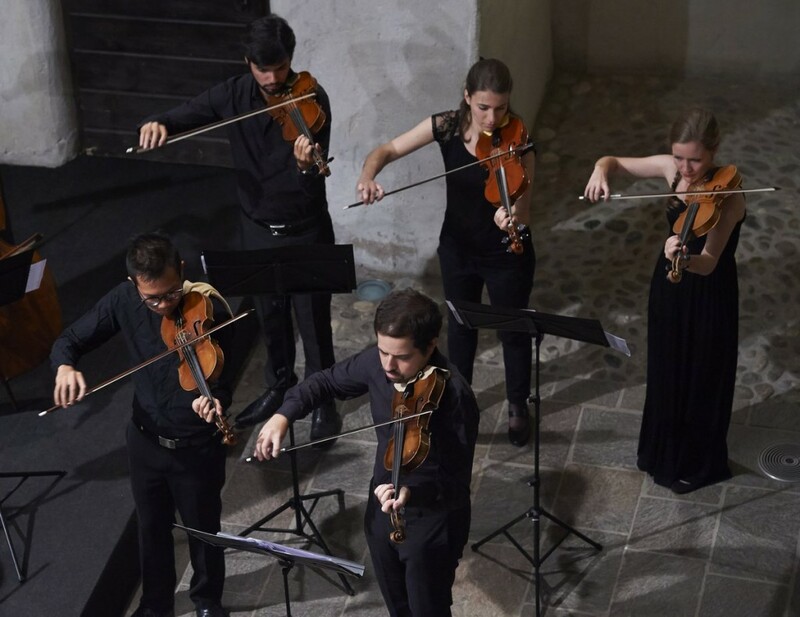 Last but not least, even if not so well known, is the String Quintet in G major n. 23 by Giuseppe Maria Cambini: anyone who thought Boccherini was the first purveyor of string quintets with two cellos, would be wrong. Giuseppe Maria Cambini (1729–?83) was 14 years Boccherini’s senior and wrote 114 of them, a number that may actually exceed that of his younger compatriot. Both men were born in Italy, Boccherini in Lucca, Cambini in Livorno. But other than the commonality of their birth country, their careers took them in very different directions. Boccherini, as we know, headed to Madrid, where he was employed by the Infante Luis Antonio, younger brother of King Charles III. Cambini located in Paris around 1770, but wisely did not seek royal patronage in a monarchical succession that would soon enough disappear. Instead, Cambini managed to make it on his own, concentrating mainly on the writing of more than 600 purely instrumental works. Although it must be said that Cambini played little part in the radical musical developments of the Classical period, his music is richly textured, mellifluous, agreeably harmonized, and lengthily worked out. Theresia’s strings will perform the musical program Saturday evening in Dole (France). Download here the program!